What a beautiful meal. And that rice must be tried very soon. Pinning this one to my Shrimp board. What a splendid meal! Love that yellow rice made with grated fresh turmeric! Gorgeous flavors and beautiful dish! wow, i really adore your photography skills, bowdown!!! Such a wonderful cookbook review. 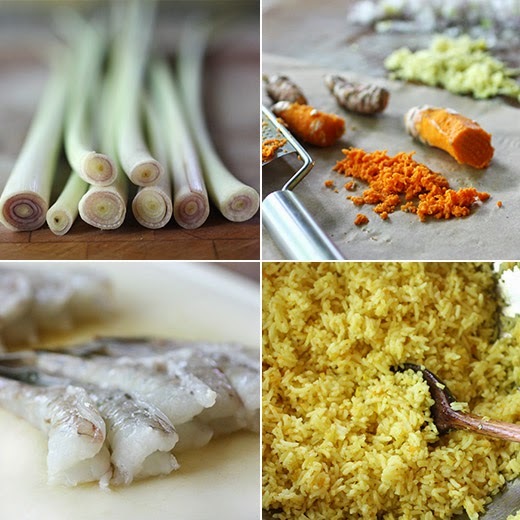 The best recipes transcend dietary restrictions with vibrant flavor! 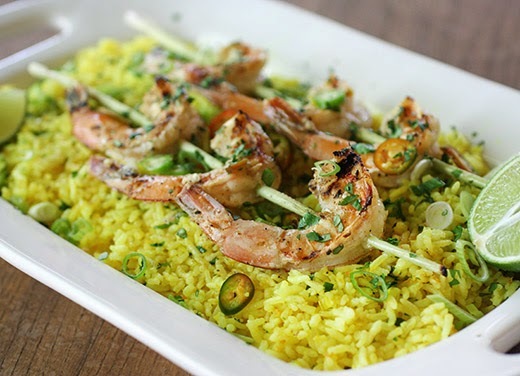 What a great meal, love the way the rice and shrimp look, great pics! I once had lamb kofta prepared in lemongrass skewers and it was delicious. I love this with shrimp - it looks both yummy and beautiful, Lisa! 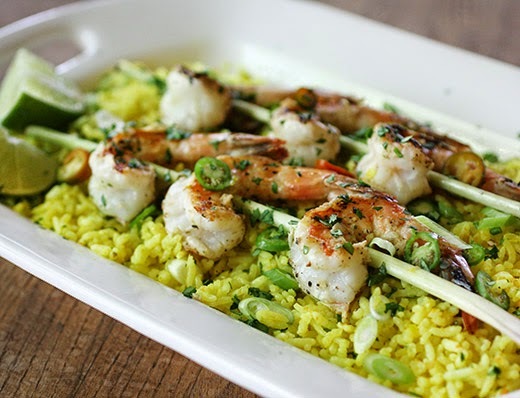 These shrimps look great with the lemongrass...I can only imagine the flavor...yum! Wonderful meal...I could have it everyday. Such perfect marriage of flavors. This is my kind of meal…loaded with so many good flavors. Love the vibrant flavors and color! I love flavor-heavy food like this. Good job -- thanks. Lisa, I'm so so glad you enjoyed the recipes and I'm honored that you've shared them here! Pip's yellow rice is magic isn't it? I think I'd have to check out this cookbook for the mushroom galette alone! It sounds great. Thanks for sharing with us. Yes, definitely a fan of Yummy Supper. And oh, that yellow rice looks fantastic!